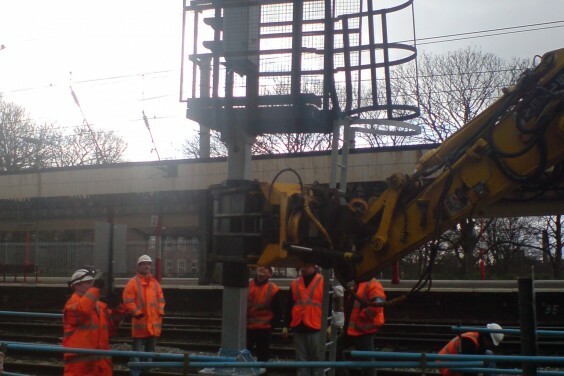 Rail-Ability Crown Pole & Signal Post Grab « A.P. Webb Plant Hire Ltd. This grab enables the safe installation of crown poles up into overhead gantries with unparalleled speed and agility. Also suitable for the installation of signal posts onto concrete footing bases. Rubber grab linings ensure no damage to poles/posts. Precision accurate hydraulic systems and tilt, rotate, angle, geometries ensure easy installation of the pole/post to its fixing points.